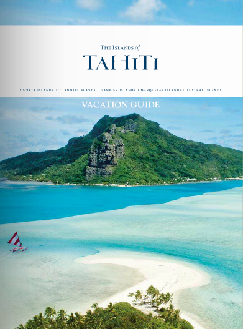 The heartbeat of The Islands of Tahiti emanates from a special place in Raiatea, the sacred Taputapuatea marae. The expansion of Polynesians throughout the Pacific began on Raiatea from this exact site. After offering blessings through sacred ceremonies and celebrations, outriggers with original settlers ventured north to Hawaii and west to New Zealand. 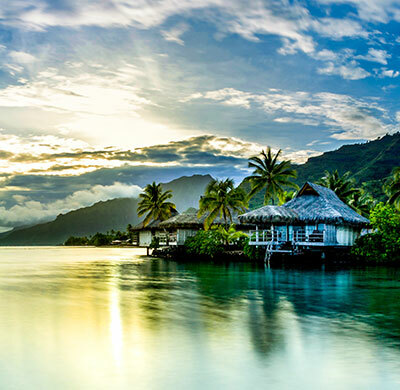 Raiatea, meaning “faraway heaven” and “sky with soft light,” was first named Havai’i as is considered the homeland of the ancient Polynesians. Recognized as the most sacred island in the region, the green-carpeted mountains rise to the cloud-capped peak of the celebrated Mt. Temehani. 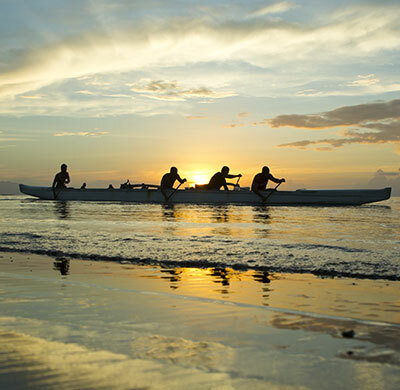 Learn more about Raiatea and The Islands of Tahiti’s cultural history here. Formerly named Hava’i, Raiatea is known as the gods’ cradle, hosting archeological treasures (marae, petroglyphs…) and eons of history and culture. As the first Polynesian island to be populated, Raiatea shelters the most spectacular and first international marae of the Polynesian triangle, called Taputapuatea. This is where inauguration ceremonies, political alliances and international meetings would take place in ancient times. 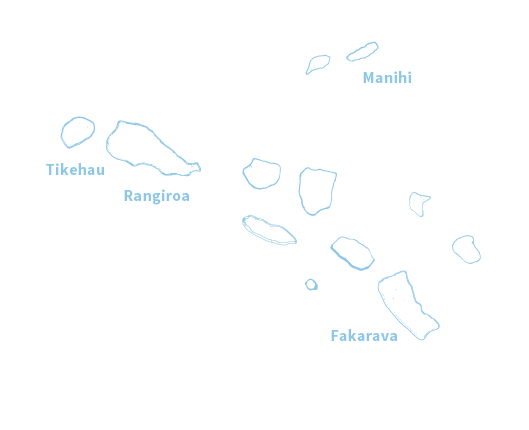 The site was taboo and was the headquarters of religious and political powers of the Polynesian region. These days, communities of Hawaii, New Zealand and Cook Islands still meet at this pilgrimage venue, which they consider as the home of their sacred culture. 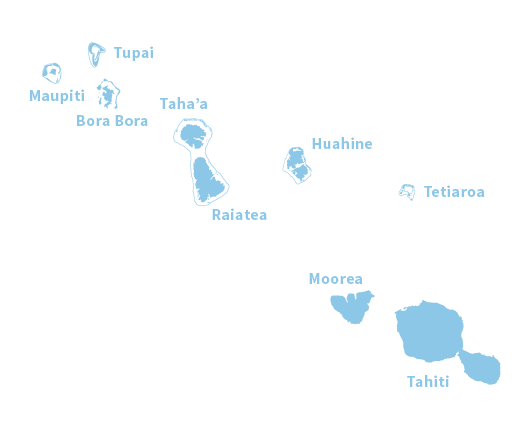 Raiatea is the top yachting location in The Islands of Tahiti. 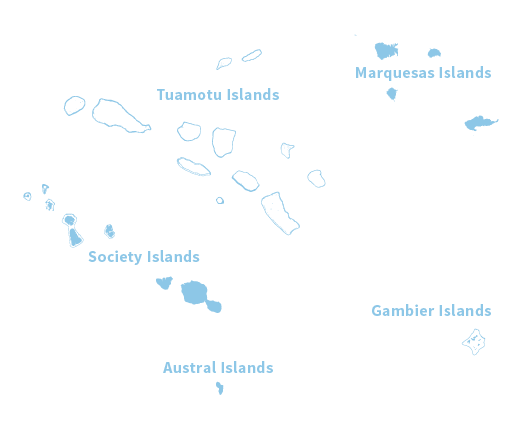 Most charter companies and marinas have chosen to settle around Raiatea. The island hosts a large number of moorings, bays (deep and calm) in a pristine and amazing environment (volcano craters, waterfalls). The sailing conditions are excellent. It is a pleasure cruising to the other peaceful Leeward Islands, all as beautiful inside or outside the lagoon. Raiatea is an incredible natural source of interest for scientists and nature lovers due to its rare flora and fauna species. Mount Temehani shelters the tiare ‘apetahi (and about 30 other endemic plants), a flower found nowhere else in the world. It has become the symbol for Raiatea. This half-circle white and delicate flower only blooms at dawn. Raiatea also shelters the only navigable river in French Polynesia. Go on an unusual outrigger canoe ride in the heart of a dense tropical forest of purau, bamboos and māpē (Inocarpus fagiferus). Legend says that the river would have been the departure point of all Polynesian migrations to Hawaii and New Zealand.